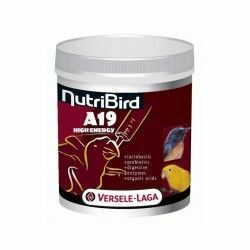 Versele Laga NutriBird A21, complete food for hand-rearing of all birds baby. NutriBird A 21 is a complete food for hand-rearing of all birds baby. Compound scientifically for optimum growth. The slurry of breeding hand NutriBird A19 High Energy is a slurry with a composition ideal for the growth of the chicks in their first days of life . Slurry of raising the hand of loris and loriquitos.. + lactobacillus & prebiotic. + digestive enzymes & organic acids. 800gr. 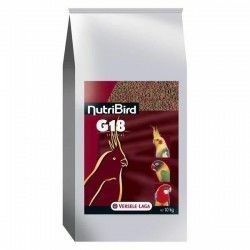 NutriBird 19 is a complete food and balanced for the hand-rearing of macaws, grey parrots, parrots, eclectus, deroptyus accipitrinus and other birds baby with high energy needs.